There are separate hostels for Boys & Girls with a capacity to admit 300 students. There is one Warden for boys’ hostel and 2 Wardens for girls’ hostel. Residential accommodation is provided for the wardens and essential staff of the College & Hospital. The students are provided all facilities for indoor & outdoor games. 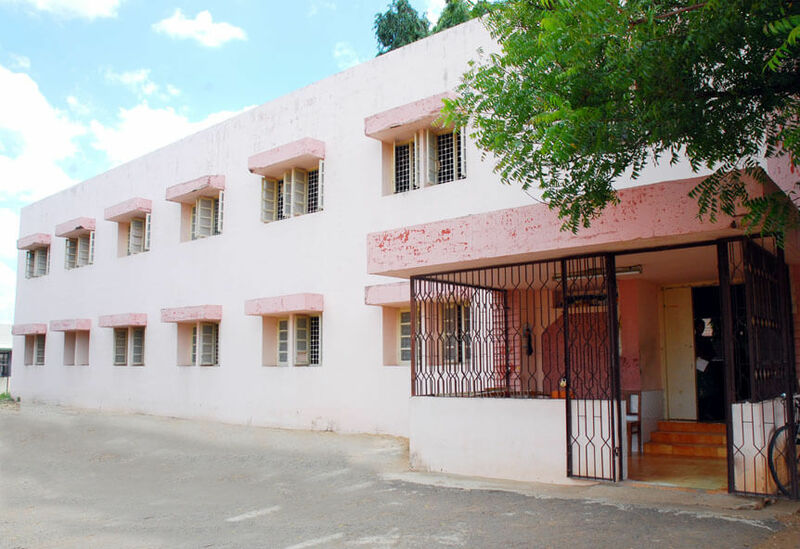 The College Hostel situated inside the campus taking care of the girls students in a safer way. It is designed in 3 floors including the ground floor with concrete ceiling and sufficient windows for cross ventilation. Each floor consists of 11-12 big rooms which can accommodate easily 3 girls. Students have been provided adequate chairs, tables, tube lights fans, cots and safe almirah to enhance their studies. Study hours have been prescribed from morning 06.00 A.M to 08.00 A.M and in the night 07.00 P.M to 10.00 P.M.
All the Hostellers are members of the mess. In-house Mess provides purely vegetarian food only. The Sri Sai Ayurvedic Medical College features a large medical plant garden with around 250 plant varieties which are used in herbal medicine. The facutly and the leadership are working on research activities related to the growth of these plants. Residing in the hostel is the choice of the students. The allotment would be made to the students by the Warden on first come first basis as well as deservedness of the students. Guests will be permitted to stay in the hostel as per the availability of the accommodation at the discretion of the Warden. Principal reserves the right to send a student out of the hostel without assigning any reasons whenever the Principal considers it necessary in the institutional interest. Every student must contribute towards the hygiene and serenity of the entire institutional campus by observing strict discipline in terms of ethics, character and behavior. Principal allows reasonable freedom but not at the cost of expected discipline. Students must follow all the rules & regulations framed for running the hostels as well as mess which may vary from time to time. Any deviation in the instance will be viewed seriously. Students shall not resort to take part in any agitations, demonstrations either on their own or in association with any organizations etc. Also they must not cause damage to any property belonging to the institution or individuals in the campus. Students must wear noble, gentle and decent dress. Fancy dress is strictly prohibited. Wearing aprons is compulsory during clinical / practical hours by staff & students. Vices like smoking, wining etc. are strictly prohibited within the campus. Similarly all anti social, immoral and unlawful activities including “ragging” are strictly prohibited inside the campus. Stern action will be taken in such instances. Any other directions, rules & regulations issued periodically by the University will be binding on the institution as well as the students. Principal is the Chief Controller of the campus in relation to all activities of the students and others. Hence all must obey his directions.